The furniture store has a surprising new menu item. The Swedish meatballs at Ikea have reached a pretty iconic status since people will often visit the furniture store just to eat at the restaurant to satisfy a fix for something smothered in savory gravy. It's not surprising, then, that the brand would try new iterations of its wildly popular menu item to bring even more meatball devotees through its doors. However, the latest incarnation of Ikea's meatballs sound rather fishy. That's because they are actually fish! Salmon, to be exact. The salmon balls, which were first introduced in August at select test locations in Ikea stores throughout Europe, are now being rolled out (so to speak!) in the U.S. and will be expanding to other international locations soon. The balls are made from salmon that has been certified by the Aquaculture Stewardship Council (ASC), a non-profit which promotes sustainable and environmentally-responsible seafood farming, as well as sustainably fished cod. The balls are also seasoned with seaweed and lemongrass in order to capture “the fresh taste of the cold Nordic sea in a tasty ball.” A serving of the salmon meatballs costs $5.99, and it comes with classic Swedish sides like mashed potatoes, gravy and lingonberry jam. 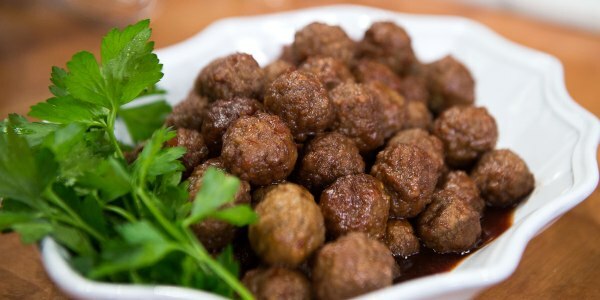 This offering is the fourth meatball in a lineup that includes traditional Swedish-style meatballs (which contain beef and pork), chicken balls and a vegetarian option. "For the product development of the salmon balls, we looked at processing of salmon and realized that there is a lot of potential in other parts of this fantastic fish, the smaller pieces that cannot be used as fillets," Sabrina Anania-Stepanian, a product developer for Ikea Food Services, said in a statement to media. "We worked closely with our suppliers, optimized the process and together created this tasty source of protein with a lower carbon footprint." Salmon and many other types of seafood are very common in Scandinavian dishes, so the the newest meatball aligns well Ikea's traditional Swedish roots. Ikea store restaurants already have several salmon dishes on the menu (and for sale in their frozen food section), including several varieties of cured and smoked salmon, as well as salmon filets. 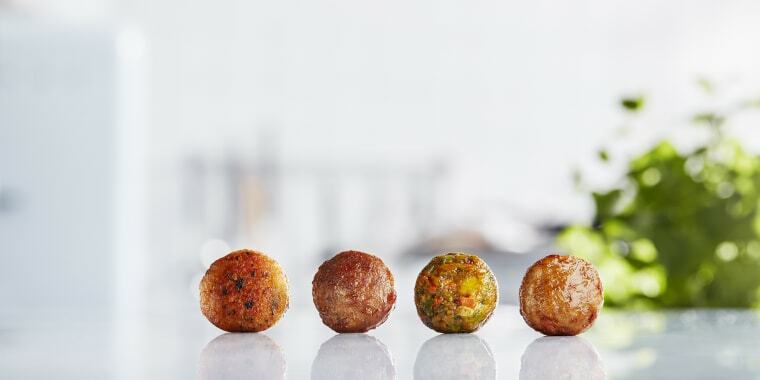 The salmon balls are the first new meatballs on Ikea's menu since 2015 when they first introduced the vegetarian and chicken balls.